At one point of time our cooking knowledge might come to an end but our mothers knowledge is like never ending. So every time I am really surprised with her perfect way of cooking. I think we all have the same kind of experience. Last few weeks I am really enjoying my vacation with lots of good food. So I thought I will post some recipe from my mother’s kitchen, so better start with a sweet dish. 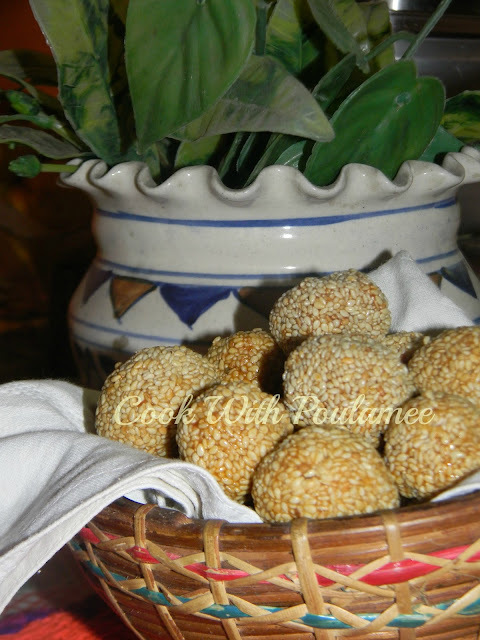 We all know about sesame seeds and we used to make so many items where we use sesame seeds but in Bengal there is a famous homemade sweet call TILER NARU or SESAME SEEDS AND JAGGERY LADDU. 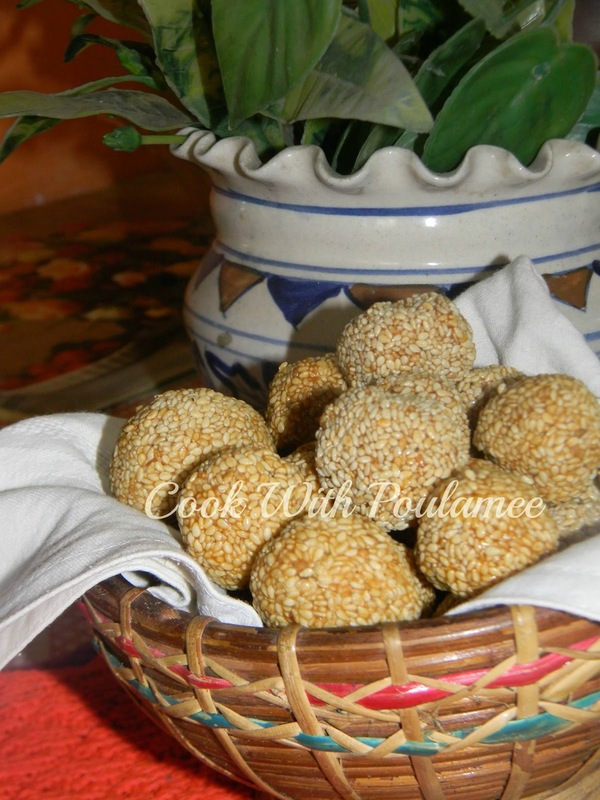 A very easy but difficult one because if you can't cook it properly then you can't roll them like Laddu. 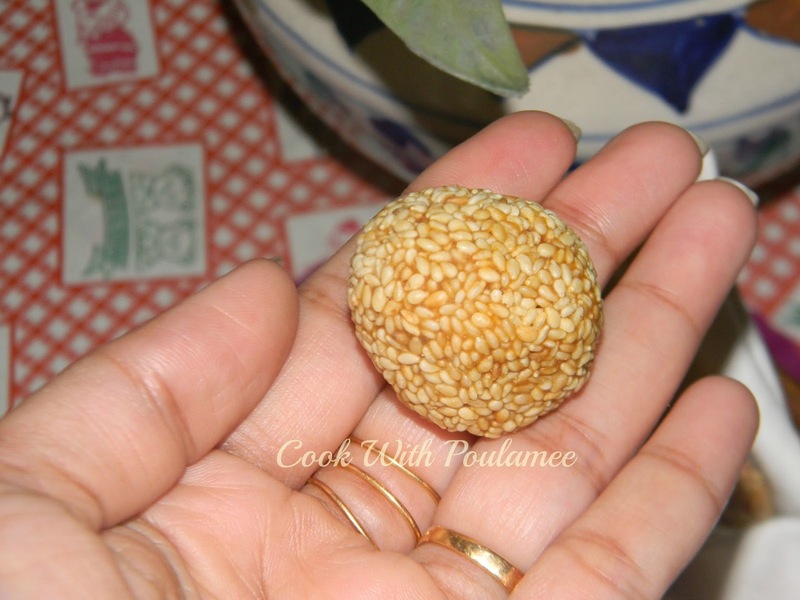 1.White Sesame Seeds: 500 gm. 2.Jaggery: 500 gm (in liquid form). 4.Pinch of crushed cinnamon powder. Dry roast the sesame seeds for mew mints. And keep it aside. Now take one big vessel and add little crushed cinnamon powder then add the jaggery and cook it till the jaggery become like gum. Now add the dry roasted sesame seeds and mix it nicely. Before switch of the gas add the sugar and mix it slowly. 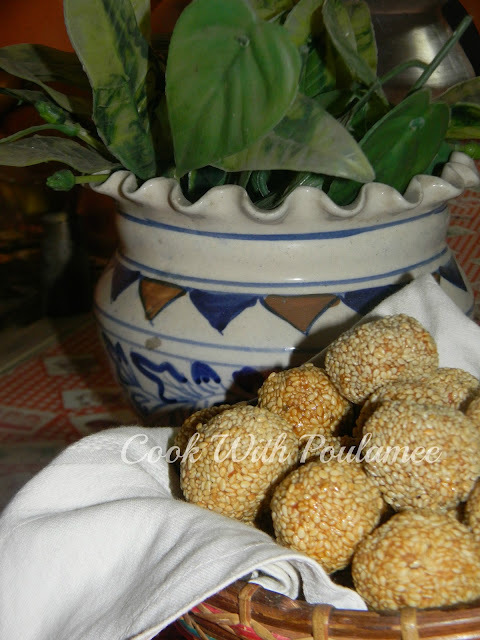 Now before it become cold slowly make some round shape balls with the mixture. Your TILER NARU is ready keep it in an air tight box and enjoy it till it end know need to refrigerate. This sweet can beat any other jaggery sweet. Labels: BENGALI SWEETS, MOTHERS RECIPE.